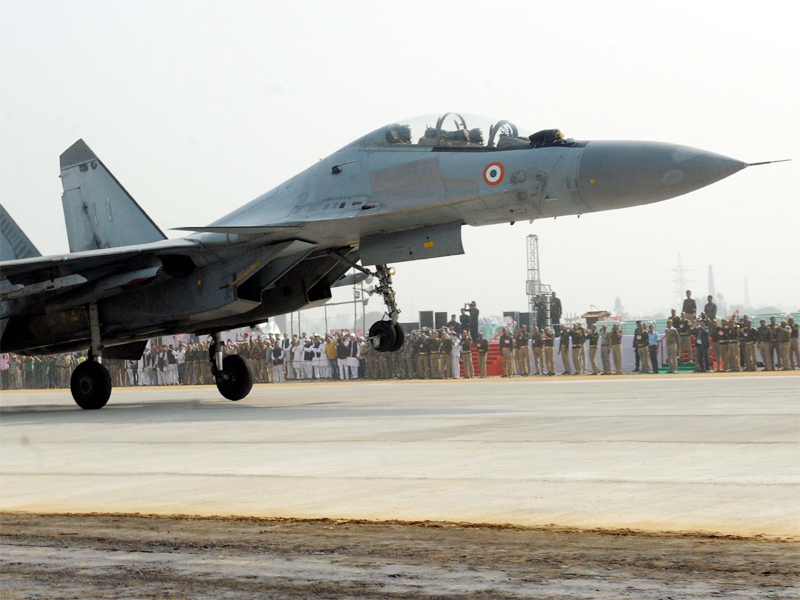 The IAF’s touchdown exercise, in collaboration with the Uttar Pradesh Government, will be the first official IAF exercise on the expressway, which was inaugurated in November last year. The jets will use the stretch during the day to hone pilots’ skills in using public roads in case of a war-like emergency. The exercise will take place near Bangarmau in Unnao and will be rehearsal for the defence forces. 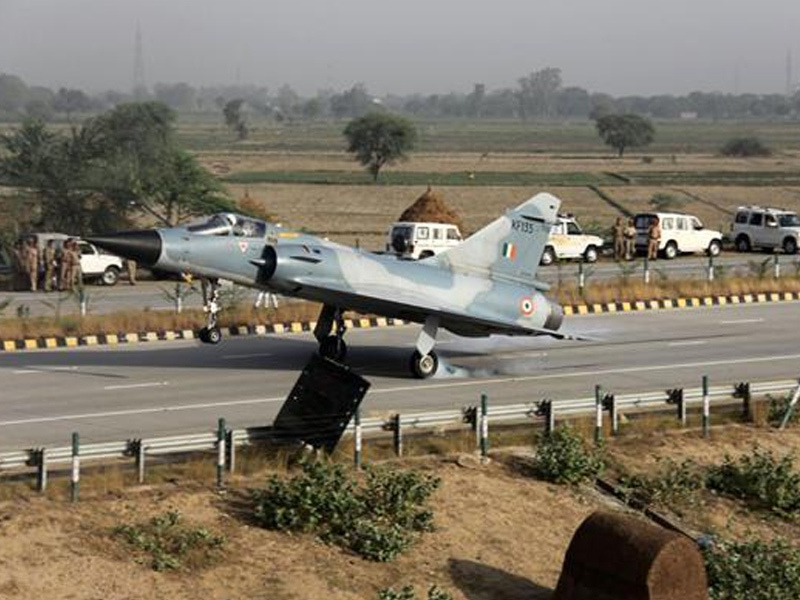 This handout photograph by the IAF shows an IAF Mirage-2000 aircraft as it lands on the Yamuna Expressway. According to the Defence ministry statement, 20 IAF aircraft (both fighter and transport) will participate in a touch and go manoeuvre on the expresshighway. These will include French Dassault Mirage-2000, Jaguar, Sukhoi-30 MKI and AN-32 transport. “It is for the first time any transport aircraft will land and then take off from the expressway. 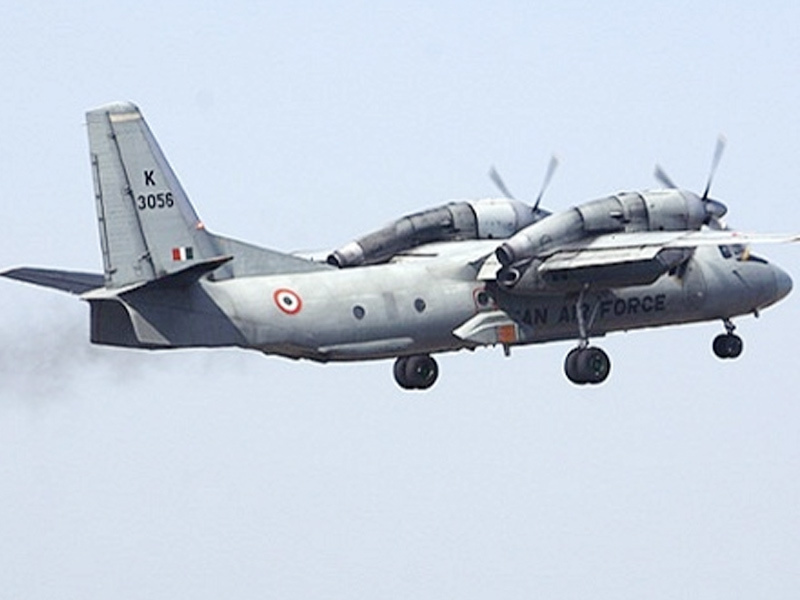 The AN-32 are meant for humanitarian assistance and disaster relief during floods or any other natural calamity,” PRO, Defence (Central Command), Gargi Malik Sinha was quoted as saying by news agency PTI. The main attraction of the exercise will be Super Hercules C-130J, also known as the military transport aircraft. At present, IAF has six Hercules transport aircraft, which are manufactured by the US. Of these, two are stationed at the Bakshi ka Talab air base. The super speciality of the military transport aircraft has four highly advanced turboprop engines. It also serves as the aerial refuelling and loader aircraft. The first Super Hercules was brought by IAF in 2008. Defence official said IAF plans to buy more Her cules aircraft in the future. The craft is equipped with several major facilities and super emergency backup resources like large firefighting air tanker to douse the wildfire, large space to carry artillery, ammunition, bombs, goods for defence personnel, airlift material etc. 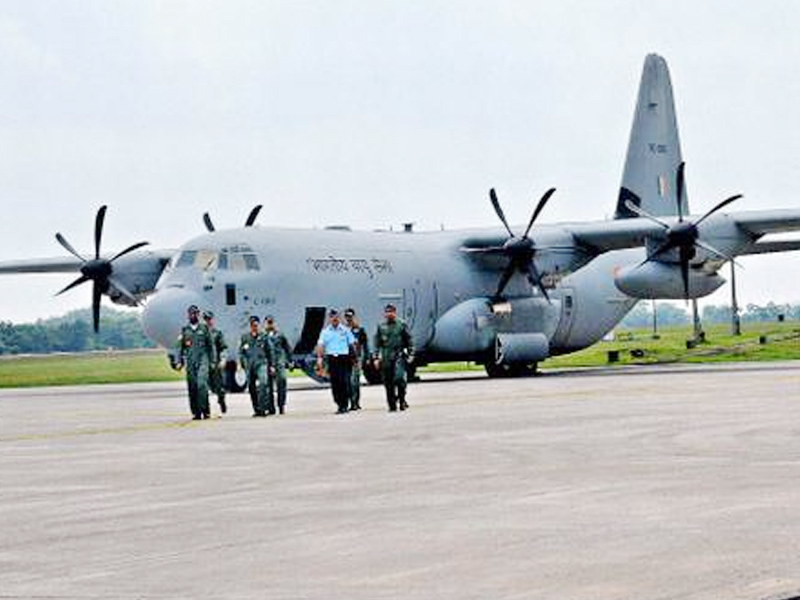 The exercise will commence with a short landing by the C-130J transport aircraft, which will drop IAF’s Special Forces Garud commandos and their vehicle. Immediately on disembarking from the transport aircraft, the commandos will take up position on either side of the airstrip to cordon it off for the operation.